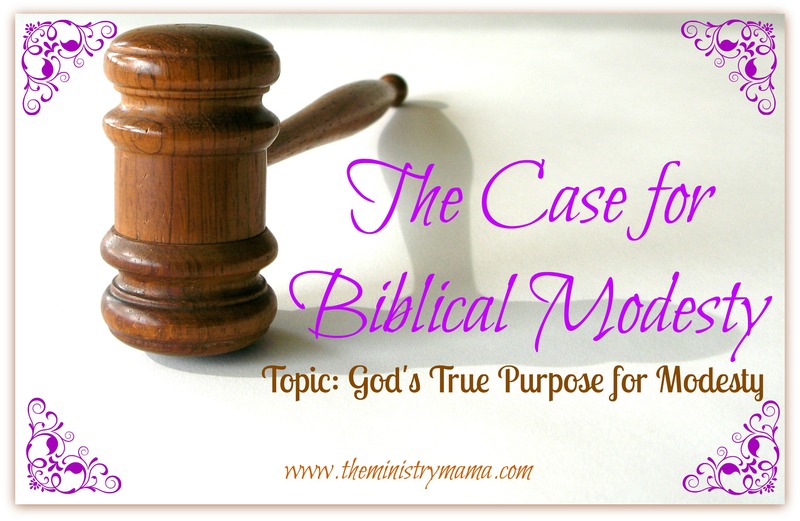 Have you ever considered God’s true purpose for Biblical modesty? Let’s take another look at The Case for Biblical Modesty. This is Part 2 in a series, the earlier topic covered the importance of being discreet and chaste in our clothing styles, you can learn more about the heart of the matter, The Case for Biblical Modesty: Being Discreet and Chaste. The two words that describe modesty in this verse are discreet and chaste. Modesty by my definition is: the covering of your body as not to distract from Christ by being discreet and chaste. And when I talk about intentional modesty, it is something done with thoughtfulness and carefulness. Our clothing is an outward reflection of the clean heart that Christ made when He forgave our sins. The first step is understanding what modesty is. The second step is understanding why God emphasizes it’s importance. Jesus was accused of blasphemy by his enemies, this was one of the accusations against Him when they wanted to stone Him. The biggest problem the Pharisees had with Christ was His claiming to be God. They believed that He was showing a lack of reverence to the God of the law. The only problem was, Christ being God Himself, could never be irreverent and the miracles and preaching He gave never once contradicted the law. Their accusations were false and they simply became the excuse to crucify Him. Did you know taking the Lord’s name in vain is also considered blasphemy? According to Titus 2, when women are not discreet and chaste it is equal to committing the 3rd commandment. (Exodus 20:7) Many of us would never take God’s name in vain, but if at any time we dress immodestly it is just the same. Intentional modesty identifies you with the word of God. It displays an identity of belonging to Christ, like a logo identifies a brand. Immodesty on a Christian cheapens the “brand” of the name of Christ as well as the word of God. The importance of the word of God is that it is a revelation of God Himself, proven in John chapter 1. “In the beginning was the Word, and the Word was with God, and the Word was God.” To blaspheme God’s word is to blaspheme God. It is very serious to take the entire context of Titus 2 seriously, but most specifically to this article, our modesty seriously. To stop the mouths of adversaries, we must be consistent in our life and consistent in our modest dress. Unsaved people are watching Christians, choosing by what they know about the Bible and what they know about people who say they believe the Bible (God’s Word) and making decisions every day. They decide whether Christianity and God are something worth believing in. Immodesty becomes a distraction or stumbling block for unbelievers. What does wearing immodest clothing do for the Christian? It causes others to put a question mark in their mind of whether a person is genuinely associated with Christ. It causes both saved and unsaved people to speak evil of you because your clothing does not match the profession of Christ that comes out of your mouth. It shows a lack of reverence or respect toward God in your heart and attitude. It casts doubt and defames God’s good name because dressing and acting immodestly tempts you to act impulsive and to commit sin. Many sins of comparing, pride, sexual temptations, etc. are associated with immodesty. The majority of Satan’s work is to defame the good name of God. It has been said that we are the only Bible that some people will ever read. Our clothing tells the meaning of our Bible to us and shows the sincerity of our beliefs. It protects God’s word, therefore protecting God and His name from ill-use. It confirms in the heart of unsaved people to believe the Bible because you are dressing according to the beliefs of the Bible. It encourages righteous living, because it is discouraging you from temptation and sin and unto God and holy living. It places God at the top of your priority list and shows Him reverence and respect. It can be a reflection of your clean heart. Disclaimer: Wearing modest clothing does not give you a clean heart. Accepting God’s gift of salvation and choosing to repent from your sins, allows God to clean your heart. Many modest women are also guilty of gossip, self-righteousness, and other sins, making their hearts dirty again. Modest clothing will only work if it is a reflection of the discreet (self-controlled & temperate) godly woman. As you notice there is no list of clothing here in this article labeled “good” or “bad.” These articles are meant for you to learn from God’s Word, His standard for modesty, and allow Him to work in your life and in your closet. The Holy Spirit will direct you, convince you of what to wear, convict you of what not to wear, it’s that easy… all you have to do is ask God for wisdom! And like I said in my last article, “It’s amazing how God’s Word can teach us just what we need to be what He wants us to be. If this topic bothers you, then please pray and ask God “Is there something in my life that I need to change?” Then listen… you might be surprised at what He has to say!” God will give you the wisdom on how to be modest if you’ll only ask! The next article (#3) in this series is Modesty: It’s Appearance For All.